The Ambarvale Hotel in south-western Sydney has been sold for $21.2 million in the latest sign of demand for pub investment opportunities. CBRE Hotels’ Daniel Dragicevich and Sam Handy negotiated the sale on behalf of the ASX listed Lantern Hotels Group. In its announcement to the stock market, Lantern advised that the sale price represented a 50.2% premium on the 30 June 2016 book value. 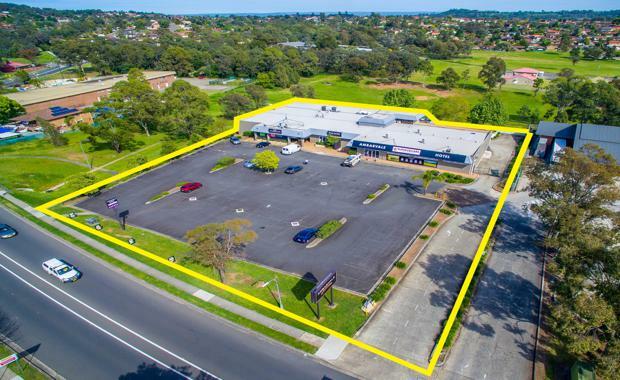 The deal closely follows Lantern’s $25.3 million sale of the Uncle Bucks Hotel in Mount Druitt, which was also transacted by Mr Dragicevich and Mr Handy. Mr Dragicevich said the two sales had been timed to capitalise on current market conditions and the unprecedented undersupply of quality freehold gaming hotels in Sydney. “AAA gaming pubs are seldom offered to the market and, as a result, both properties attracted strong interest,” Mr Dragicevich said. The Ambarvale Hotel is strategically positioned on a 7,200 square metre with surplus land and a flexible zoning and benefits from a large catchment area, limited competition and an excellent gaming demographic. The hotel is proximate to the Greater Macarthur Priority Growth Area, which is expected to deliver up to 33,000 new homes via a staged land release in the surrounding areas of Mount Gilead, Menangle and Appin. CBRE’s Mr Handy said five sale contracts had been issued, highlighting the buoyancy at the top end of the Sydney hotel market. “Robust trading conditions, debt liquidity and the current low interest rate environment is driving strong buyer demand, however there has been an undersupply of quality investment opportunities,” Mr Handy said. The Ambarvale transaction follows a flurry of recent activity in the NSW hotel market, with CBRE Hotels having this year negotiated in excess of $250 million worth of NSW pub sales across 30 separate transactions.